Canvas kit bag, 16" x 11", used by Edward Newell Morton during his 1917-1918 service as 1st class sergeant in the 79th Aero Squadron. Includes buttons, safety pins, needles and thimble in pockets. Handwritten itinerary of his travels written across inside flaps. 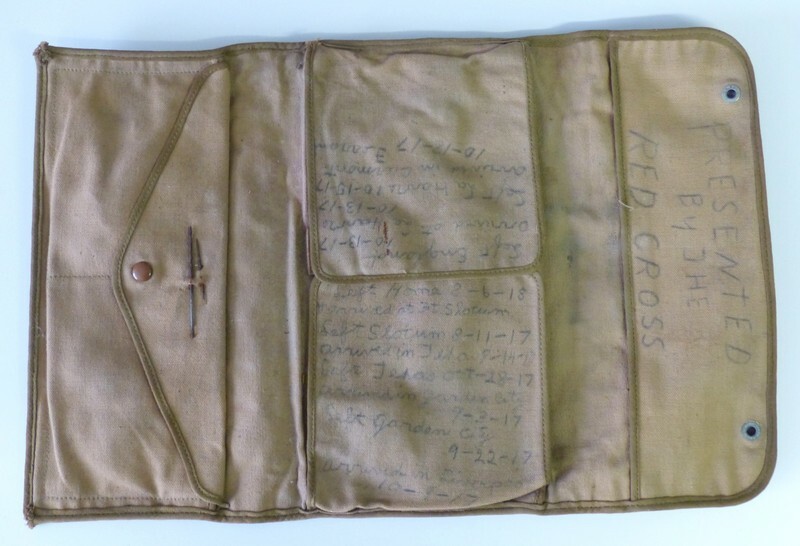 Red Cross, “Red Cross World War I Kit Bag ,” Conway Historical Society, accessed April 21, 2019, http://conwaymasshistory.org/items/show/421.